A Brilliant Business Introduction Letter? Your Business Introduction letter will be your first opportunity to get your brand as a business known – and it may be your last. You will have 7 seconds to make an impression, so you have to get it right before your letter lands in the bin. To be successful, your letter introducing your business will be centred around the sales technique called AIDA. Capturing the reader’s attention with an interesting opener. This may include compelling questions, interesting anecdotes (a story or narrative), startling statements, or suitable quotations that can be related to what you have to offer. 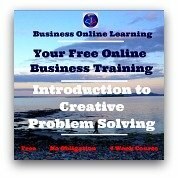 Your aim is create an interest in your business. You must aim to motivate the reader to desire what you are offering. Convincing the reader to act on that desire by purchasing the product or service – “closing the sale”! 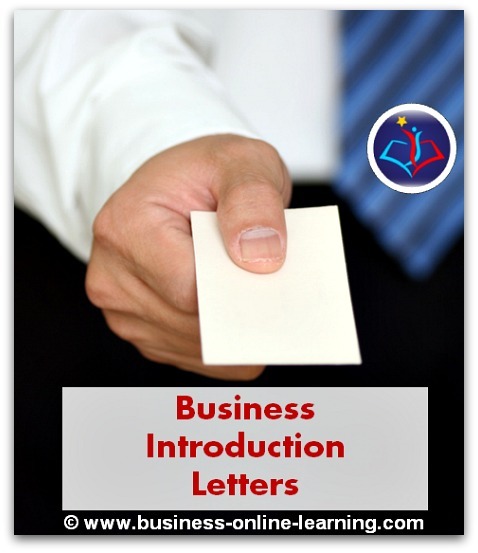 Here are the key steps how to write a good Business Introduction letter. - > your “Most Wanted Response”. The next step is to decide on who exactly this customer is and how they would like to be spoken to. Remember, the degree of formality used is dependent on the issue at hand and can be a deal-breaker if you use a tone that is inappropriate. Understand who your customer is and what their needs are. What needs are you going to address. What is their “pain”? How are you going to propose to help them? These questions are key to a successful letter. When preparing the draft, use these short questions to get a clear idea about the different components of your letter. What is your purpose? What do you hope to accomplish? What is your argument, the information you would like to communicate? Which aspects of yourself or your business would you like to present? What is the key sales feature or central selling point of the product or service? Who is your audience? Is there more than one person you are addressing? What is your target audience? What is your audience’s context (situation, environment, frame of reference)? What is the need (what people are looking for) that you will be matching the selling point with? What is their pain? How does their situation differ from yours and will this have any impact on the way you write your letter? Step 2: Writing the Draft. 1. The Start: Introduce yourself with a Big Bang. This usually lists the pain of the customer and how your product or service can help. Who you are. Be sure and explain who you are and where you are at. Who you help. Explain your target market and why they are included. What you want to help them with. “Sell the sizzle and not the steak” is an old phrase often used here. Convey the benefits that the prospect can count on. Don't simply list the features. 3. Round off your letter with a Summary at the end. Summarize with a question that should lead to your most wanted response. The final step to writing your Business introduction letter is to Edit and Proofread. Check details such as names, addresses, grammar, spelling and punctuation. Years ago, a letter arrived to a company I was working in. It was intended for the production manager at that time; an Italian National by the name of Sergio Magnetti. Whoever sent the introduction letter had not gone to the bother of ensuring they had the right spelling. The letter was framed for all to see thereafter. It was addressed to “Sir Joe McNetty”. Try to avoid using “I” too much. Ensure using plenty “You’s”. This letter must be all about the addressee. Keep your letter short and sweet. Sentences should be short as well as paragraphs. Short, easy to read and limited to one single page. Try to sound confident and enjoyable to read. Be passionate and show people how much you love what you do and how you are dedicated to understanding and fulfilling their needs. Be energetic. Energy is inspiring and contagious. If you write with energy, people will respond with energy and enthusiasm. Considering all the junk mail we receive in the post, a well-written personal letter with a handwritten signature will make an impression over and above the competitors. Design your Business Introduction letter in such a way that it will be easy for the person to reply to you, i.e. enclose a self-addressed envelope. You can look inside this book on Amazon. I certainly think that this book is of great use to more than just those who have to write a letter of introduction.